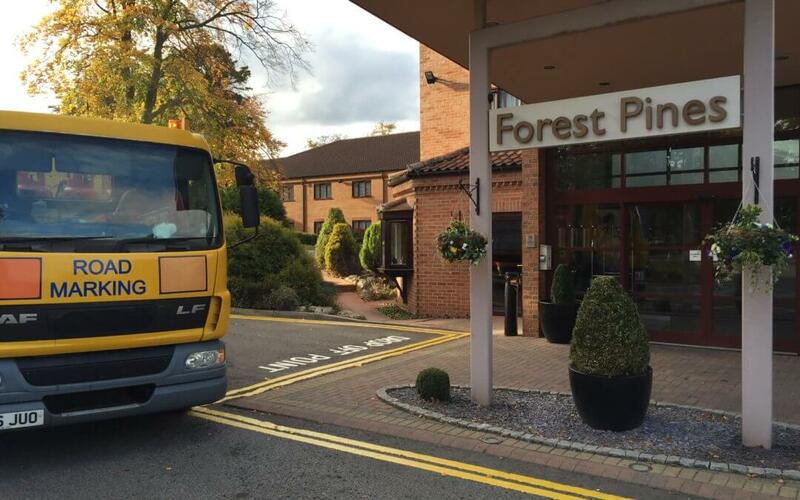 We worked at the busy and popular hotel in Scunthorpe known as Forest Pines applying the car park markings to the whole of the busy site, with a large hotel, conference venue, golf resort and fitness suite the site gets lots of traffic each day. Clear road markings are very important to ensure traffic can flow easily. Clearly marking out the available bays for car parking, direction on road signage and yellow lines were installed to keep the traffic flowing. As well as marking out all the parking bays we also marked out the disabled bays and specific bays for gold club use and drop off points around the site. If you’re in need of proffesional line markings in the Scunthorpe area call the team at Highways Eastmidlands Ltd 0845 6262 444.